Please help Harry by sharing this page. Lurcher lovers look this way! 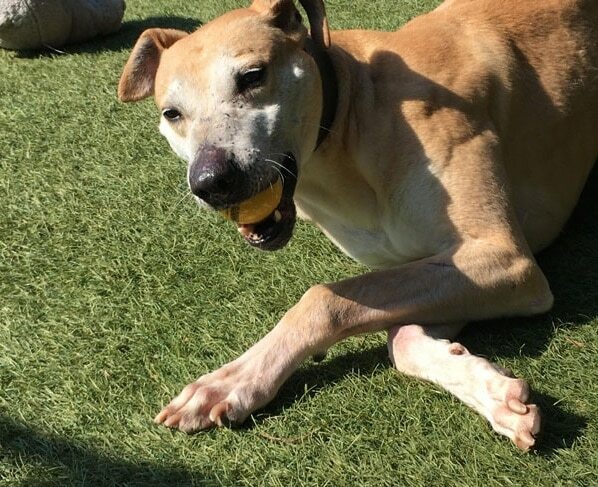 Happy, handsome Harry is a gorgeous 7-year-old greyhound cross who is with Stray Dogs Sanctuary, in kennels in Devon. Harry was found as a stray and, as he was not microchipped and all efforts to find his previous owner came to nothing, Harry is now waiting for someone to offer him a fabulous new home. He is a lovely, medium-sized lad. 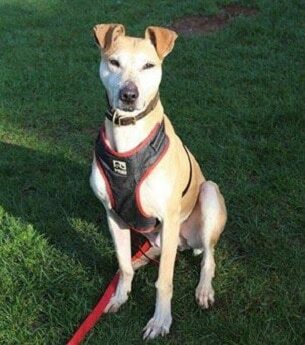 Like most lurchers, Harry absolutely loves cuddles and he has a very happy outlook on life, with a tail that is always wagging. Bless him! Harry would be happy in a family home with children aged 8 or over. He would also be happy with an older person or couple who will take him out for two nice walks a day and then give him all the love and cuddles he so appreciates. He does need a home where he will be allowed to snuggle up next to his people, because that really is his favourite thing in the world. 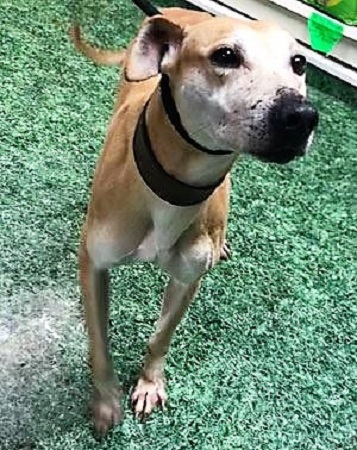 Harry can live with medium or large dogs, but he would be best in a home with no cats or small dogs as it’s not known how he would be with them. He is a healthy boy with no known medical needs and he has been neutered. Could you offer Harry the loving home and abundance of cuddles he so desires? Please mention that you saw Harry on the Oldies Club website. This replaces Harry’s original page dated 12 November 2018.